―Was it really the environment that was contaminated,or was it the heart of the people? 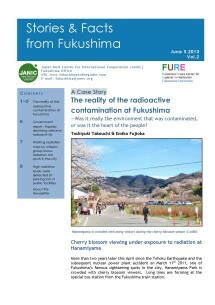 If you go to the Fukushima City administration services desk, there is a brochure you can get for free. uses his tablet and a Geiger counter connected to his computer system and has been walking around your ordinary neighborhood and streets to take detailed measurements.